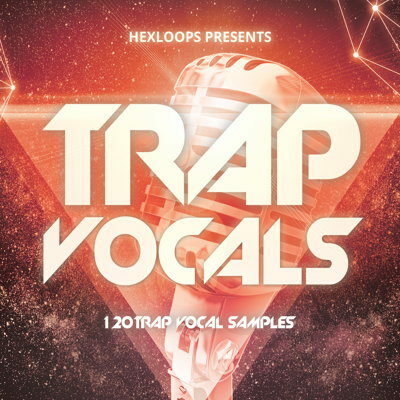 HEXLOOPS bring you their TRAP VOCALS pack, which includes 120 Trap vocal samples (all royalty free), vocal chops, and vocal hooks ready to be thrown into any Trap banger. These Trap vocal samples define the Trap music as we know it today. From Trap chants, Trap vocal hooks, vocal chops to vocal loops, these catchy vocal samples are exactly what you need, just listen to the demos and you will be convinced. With 120 Trap vocals to choose from you can’t really go wrong with this royalty free vocal sample pack at its crazy cheap price! This pack is not only dedicated to be used for TRAP but equally suited to be combined with Hip Hop, Rap, Dubstep, Electro-breaks, DnB and many other styles. Great vocals. They are excellent for making Trap beats. I recommend!